The Hubler Automotive Group was founded by Franklin Hubler in 1961 when he purchased the Chevrolet dealership in Indianapolis, Indiana, at which he worked. More than 50 years later, we are proud to be in our third generation. The Hubler Automotive Group is the largest group of car dealerships in the Indianapolis area with 10 locations. Hubler is Indiana’s auto giant and the place to shop when looking for a new or used car for sale in Indiana! That means we employ nearly 600 Hoosiers, and either you or someone you know drives a Hubler car, truck, van, or SUV. We've helped hundreds of thousands of Hoosiers get the new vehicle they deserve at a price they can afford. Come experience the Hubler customer experience for yourself. If you're looking for the best experience you can have at a car dealership in Indianapolis, you're in the right place. Hubler is also known for great auto service and employs more ASE certified auto technicians in Indiana than anyone else. We are here for you long after the sale with quality vehicle maintenance and auto repairs! The Hubler Auto Group is proud to represent General Motors with Chevrolet, GMC, and Buick along with Ford, Nissan, Mazda, and Acura. In addition to our car dealerships, we operate Brad’s Car Wash in Indianapolis, Express Car Wash in Franklin, Bradley Collision in Franklin, Hubler Collision Center in Shelbyville, and the Bradley Management Group in Indianapolis. We partner with the IMPD every year to put on events to help the community. The Easter Eggstravaganza is Hubler's biggest event in Greenwood, Indiana. We partner annually with the Indianapolis Metropolitan Police Department and 2017 will be our 4th year hosting this event and we expect it to be even bigger than 2016. With over 6,000 people in attendance last year, we continue to strive to top each previous year. Safe KI.D. is a Halloween based event that takes place in late October. Hubler partner's with the Indianapolis Metropolitan Police Department on providing safety tips for Halloween and creating a special KID Kit. 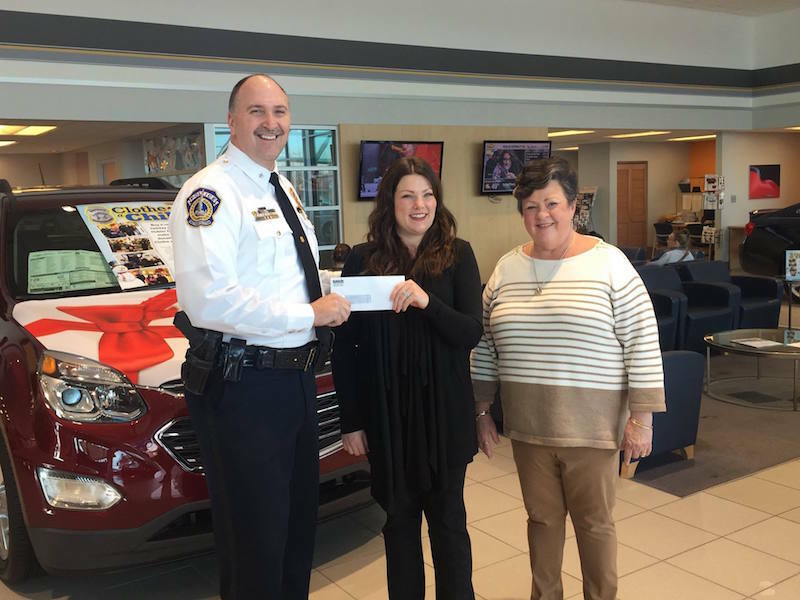 Clothe-a-Child takes place in December and is hosted by both Hubler & the Indianapolis Metropolitan Police Department to help those unable to not have a Christmas during the season. Together, Hubler & the IMPD put together a budget to take a select number of kids to the mall to buy them a Christmas they won't ever forget.